Also, known as Spring Equinox, Ostara, Alban Eiler, Esther, Eostre, Ostarun, Eastre, Eoastrae, Oestre The first true day of Springtide. The days and nights are now equal in length as the Young God continues to mature and grow. We begin to see shoots of new growth and swelling buds on the trees. Energy is building as the days become warmer with promise. Well, there isn’t an ‘exact’ outline to draw Ostara/ Eostre with. That would be like asking a honeybee: “What compels you to make honey… really”. They do it because it’s in their nature. The Spring Equinox is well… in our nature! Seriously, though, the Judean/Christian Faiths and the Pagan/Heathen Paths seem to run parallel to each other, once in a while crossing an intersection or two, and we ‘meet’ on the solstices and equinoxes. History has shown the mingling of cultures over the ages and because of that, our cultures become full and richer. This is one of those richly laden sabbats that has beautiful ribbons from both sides adorning the baskets, dresses, smart suits, and trees everywhere. The ‘rising’ of the Son/Sun/God marks the start of the holiday. Not the “birth” but the “rising”- The Oak and Holly King vie for the hand of the Goddess Maiden. For now, the Charge of Spring is coursing through the Rising God/ Rising Son… rebirth is at hand and all living things take notice. We seem to move faster, more freely. We talk longer to old friends (or are compelled to look them up), we seek out farmer’s markets and craft fairs, and we decorate everything! Our souls and bodies take another ‘interest’… *ahem*, as well. Take a look at the birth announcements- they have a slightly higher number in Spring and Winter. The Judean/Christian Faiths bring Jesus into the story for a list of reasons that have been just as educational as they have been hurtful (Pagans don’t have a clean slate either…). The story that I like is the one with Mary Magdalene in the foreground- when Jesus talked to Her and comforted Her- letting Mary know that He was alright and that things would be in Her hands for a little while and that He trusted Her and was shedding His warmth all around Her. And the Goddess goes through the same thing almost… the God comforts Her, stays with Her, and lets Her know that ‘this half of the year will be fruitful because You’re in it and You’re not alone right now, I’m going to be there for You’. Now, I know that lots of people have lots of different views on the Jesus/Mary story and even more have different views on the God/Goddess stories, but essentially… “Easter/Ostara/Eostre” is a holiday of true love, of comforting and courting, and a day of youthful thoughts and dreams. We bake bread that is round and full, like the light of the Sun. We colour and hide eggs out of respect of the bounty that will be “hidden and sought after” for the coming year, and we revel in our children. And the kids know it. They do! You can hear it when they talk- even the little ones when they first start to speak… their eyes are wider, their faces are glowing, and their excitement is an echo of the God and Goddess’ own voices as they revel in Each Other! The Crone Herself has given the Wheel to the Maiden, The Holly King has handed the crown to the Oak King. Seasons turn, and all things must turn with them. There is a great joy that rolls through our desert mountains, the rains that fall are the smiling tears of the Sky and Earth as They get a chance to be close once more, and even the Valley of Fire has colours to offer in celebration! Yes, the desert blooms- and the colours that show are vibrant- defiant almost- of the previous signs of the winter greys. Planting begins (or has already started for some of us), and we sink our hands deep into the Earth and listen to Her sigh as She takes in the warmth of the Sun. Seeds and bulbs that were nestled in the deep snows and frozen grounds are breaking through- being ‘reborn’ unto light and heat and love. I have not left you. and the Wheel ensures that it will last. And serve in Your Name! We cleanse our homes and hearts, open our doors and windows, and let ourselves truly ‘breathe’ as if we had been held under the surface of a frozen lake. Our hibernations are over. Shake off the left over winter coats, brush out the brambles, and call a few friends over for ‘house cleaning parties’. Go for hikes and welcome the God home as you spy the new deer, the wandering mountain goat kids, and even your own “kids”. Bathe the Goddess in colours and light as you change out the curtains and till the soil for ‘new ground’. Ostara isn’t just eggs and baskets… Easter isn’t just Jesus rising. This is about change, rebirth, new Life, reassurance, and hope. We seek out these things and revel when we find them. The goddess was walking through the woods one day when she found a wounded dove. While trying to heal it the magic went a bit off and turned the bird into a rabbit though not fully, for it kept laying eggs! So grateful was the rabbit that it left her the eggs at her door. She was touched by his kindness and rather than keep them for herself colored them bright colors and hid them for others to find that they might enjoy it. Ever since then we have painted eggs for others to find and eat (or eat the treats inside at any rate) . Colors for this fun sabbat are usually pastels, light greens, pinks, purples, whites, and yellows. 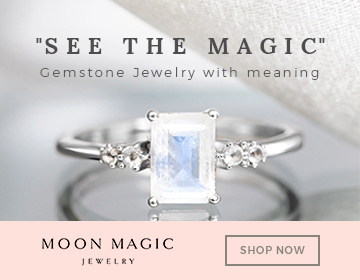 Stones used are aquamarine, rose quartz, and moonstone. Alters are usually set up to contain flowers (whether store bought, picked from a field, or fake), and eggs, birds, or rabbits.